A couple who experienced four heartbreaking miscarriages in two years are raising money for a recurrent miscarriage clinic at University Hospital in Coventry which helped them to finally become parents to a baby boy. Kayleigh and Matt Burton are running the North Lincolnshire Half Marathon on 3 May to raise funds for the Biomedical Research Unit in Reproductive Health at University Hospital in Coventry. 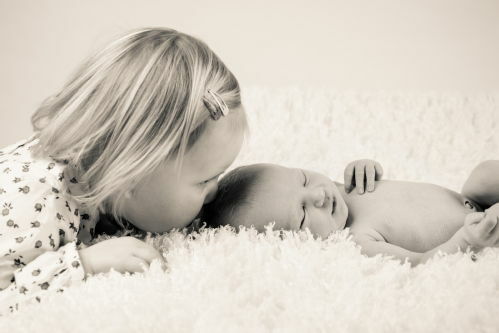 Kayleigh and Matt contacted the research unit’s Director Siobhan Quenby, joint Professor of Obstetrics at the University of Warwick and University Hospital, after losing four babies between April 2011 and April 2013. 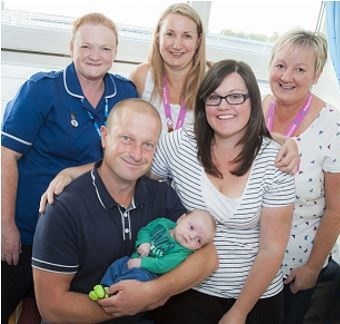 They travelled from their home in Kippax, Leeds, to Coventry for treatment and in April 2014 they were delighted to welcome their little boy, Blake Quin Burton into the world. The couple have decided to share their story to keep the memories of their babies alive and to give hope to other couples going through the same thing. People can sponsor Kayleigh and Matt on their JustGiving page and they can also find out more about their journey on Kayleigh's blog. "Our GP referred us to Professor Quenby after we had suffered recurrent early miscarriages. We kept getting pregnant, but each time our baby would not survive past week six. This had a devastating effect on our lives, putting a strain on our relationship and making normal day to day living virtually impossible. Initially we could not find a cause for these recurrent miscarriages which only added to the sense of loss and frustration. Professor Quenby embarked on a series of tests and after becoming pregnant in February 2012 my wife was prescribed progesterone to be used twice daily until the end of the first trimester. As the six week scan approached we were both extremely apprehensive, as we’d never seen a heartbeat from any of our lost pregnancies, but we hoped that the treatment would work. To our delight, amazement and ultimately tears of joy we saw our little baby’s heartbeat for the first time. Each stage of the pregnancy came and went without further incident and I am delighted to report that the little heartbeat we saw on that wonderful day grew stronger and stronger. Our daughter was born weighing 7lbs 9oz on 1 November 2012. Through the same treatment my wife and I had our second successful pregnancy and our son was born on 24th November 2014 [both pictured]. We consider ourselves extremely lucky to have been under the care of Professor Quenby. On behalf of myself and my beautiful family I want to say thank you for all the time, effort, expertise and lateral thinking you have displayed, finding answers when most found only questions. We’ll never be able to show how grateful we are." It all started five years ago, when at the age of 23, I had my first miscarriage. Not too long afterwards, I had two more. I underwent tests at the my local hospital, and was discharged and told that it was down to 'bad luck'. After hours and hours searching on internet forums we wondered if I had something called antiphospholipid (APS) syndrome. I asked my GP - but he insisted that my miscarriages were definitely just bad luck. I then paid to see a private doctor in London, and a few thousand pounds later I was formally diagnosed with APS and Factor V Leiden. I was also told I was hyper-fertile, as I'd gotten pregnant so quickly, and to take clexane and aspirin the next time I wanted to fall pregnant. It was hard to have any faith in my local hospital at the time, and so I kept researching online. I found Liverpool Women's Hospital and took part in their miscarriage clinic. I started clexane and aspirin treatment when I fell pregnant for a fourth time - but when I went for an early scan, there was a pregnancy sac but nothing else. I had another miscarriage. The team explained the statistics of miscarriage to me, and I was sent away to try again. I fell pregnant again two times - and the same thing happened. I was about ready to give up ... but something kept popping into my mind about 'hyper-fertility'. After hours of reading internet forums, I came across Professor Siobhan Quenby's research on 'Natural Killer cells'. I asked my consultant at Liverpool what she thought. "I don't think it will help you," she explained, "Because if you have these cells, then your body probably needs them." I went away heartbroken and tried to accept that having children of our own was not meant to be. I knew that I could not endure much more heartbreak, and that I needed to stop putting us through this. We started looking into adopting, and we booked adoption training - however, Professor Quenby's research kept playing on my mind, and eventually, we decided that it would be our last resort before accepting that we couldn't have a baby. Professor Quenby suggested taking a test scraping of my womb lining and she was very confident that she could help me. I gained back a little bit of hope after our meeting, and she contacted me with the results and suggested progesterone from a couple of days after ovulation and steroids after a positive test. We started our adoption training and we went on holiday. I took the progesterone for two cycles and on the third, we had a positive pregnancy test. The first scan at 4 weeks was hopeful and the second scan at 6 weeks was amazing! ... We could see the heartbeat! This was my 7th pregnancy and this was the first time we had seen a heartbeat! We were overjoyed, but very, very scared. After a scan every 2 weeks we eventually got to 12 weeks. The last time we attended Professor Quenby's clinic, we were told we could carry on under the care of the Liverpool Women's Hospital now. At around 19 weeks I had a bleed, but luckily everything seemed okay. At around 30 weeks we were starting to believe this was going to work - and at 37 and a half weeks, I went in to be induced. I gave birth to a beautiful baby boy on the 15th February 2014 at 12.43. He was 7 pounds 2 ounces. Tears are filling my eyes as I think about it. We named him Edward Arthur after both of our Granddads, and we couldn't be prouder! I absolutely adore being a mum and I will be eternally grateful to Professor Quenby for her help in getting us here. To think that we nearly gave up and we would never have had our boy breaks my heart. Thanks to your hard work, enthusiasm and dedication, you have literally made our dreams come true - thank you to Professor Quenby and her whole team at the University of Warwick." When the question was asked about having kids, Nicky Granger was always told no. Due to her epilepsy she was advised not to have children as it may put too much pressure on her health. However because of the care she received at University Hospital in Coventry, she is now the proud mother of baby James. Dental Nurse, Nicky and her engineer husband Nathan, 38, decided they were going to try for a child anyway. We decided to give it a go and let nature take its course. We saw Mr Allrogen, Consultant Neurologist when I was already pregnant. He was really supportive and understanding and put us in touch with Epilepsy Specialist Nurse Paula Taylor, Antenatal Consultant Sadia Malik and Research Midwife Debbie Bullen who were all fabulous and perfect with us.” From there Nicky was put on the EMPiRE research programme to help manage her antiepileptic drugs during her pregnancy. In our first appointment, Debbie took a lot of time explaining the research and Ms Malik explained what sort of care she would give us. Everyone gave us their contact details in case of a problem, like if I had a fit. I believe the care would have been fantastic anyway but being part of a research programme also provided a different kind of support during my pregnancy! 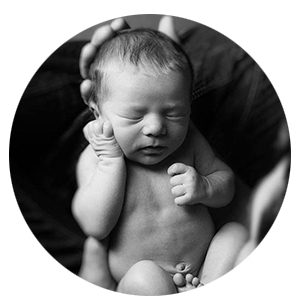 On her scan at 36 weeks, the decision was taken to deliver James by caesarean section at 37 weeks. The staff arranged all the anaesthetist explanations and pre-surgery talks to be done that day so that I wouldn’t be stressed. Sadia Malik wasn’t meant to be working the day of my operation but came in to deliver my son which was an amazing personal touch and was so nice. Nicky now feels fantastic and baby James is doing well. Elizabeth and Jeremy's story Elizabeth and Jeremy Baker from Birmingham had four early miscarriages due to a condition which meant that the lining of Elizabeth's womb failed to support her pregnancies, resulting in loss by ten weeks. The condition is due to having too many NK (Natural Killer) cells. Siobhan Quenby, Head of the Biomedical Research Unit at University Hospitals Coventry and Warwickshire, enrolled Elizabeth on trial to test a steroid named Prednisolone (often used for asthma treatment), which would reduce the number of NK cells. 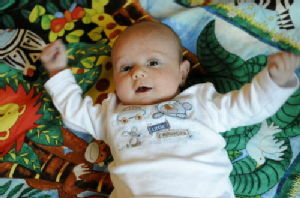 Elizabeth's pregnancy was successful and led to the birth of her baby boy Isaac (pictured) at a Birmingham Hospital. Isaac is now two years old and is a very happy, healthy and playful little boy!